— Jonathan Miller, former CEO of AOL (NYSE: TWX), and almost-board-member of Yahoo (NSDQ: YHOO). He would be a brainy and cool-strategic type, and would need all the reserves of his leadership ability to rally the troops. — Peter Chernin, COO and President of News Corp (NYSE: NWS). I raised the possibility this weekend. His contract at the media conglom is up in June next year, and he has expressed interest in doing something slightly more entrepreneurial. He does have the ability to see long term on things, something that Yahoo needs now, but has not worked outside News Corp in decades, and is a consummate Hollywood power guy. — Tom Freston: Could he come back from “retirement”? He has considered taking up the top media position within Yahoo as one point, sources told us earlier, but he may be too far removed at this point. — Dan Rosensweig: The former Yahoo COO at one point considered buying CNET, as part of his current job at Quadrangle. He has been hungry to get back into the game, and is surely charismatic enough, and gutsy enough to make the hard decisions on the company. He will take the job if offered, for sure. — Meg Whitman: please say no. She is past the ennui point, and Yahoo needs younger blood. She does have the big Internet company experience, though, and is available. — Marc Andreesen: Has the engineering chops, Silicon Valley royalty, and could certainly rally the engineers at the company. Would need to stop raising more money for Ning first, though. — Susan Decker: Well…if they wanted to do it, that’s what they would have done. But they haven’t. — Hilary Schneider: Does she have an outside chance? She will bring in the much-needed relationships with existing media companies. — Bob Pittman: Will he make an active-duty comeback? His AOL Time Warner baggage would be too much for him to be considered seriously. — Hilary Clinton? Heard she is being vetted for every job these days…oh wait, John McCain too. 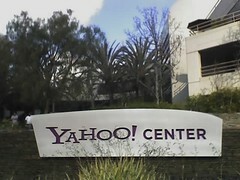 — Ellen Siminoff: Yahoo employee No. 6 and now CEO of Efficient Frontier. Tough as nails and opinionated. — Kevin Ryan: Former CEO of DoubleClick and of course founder of Blodget’s parent company. Too much of a startup guy at this point, though, and likes it that way. — Max Levchin: Too risky with has manic intensity. THE BIG QUESTION FOR THE BOARD: Whether it wants a Silicon Valley-engineering-culture-steeped executive; or a media-business-New York-centric executive who will be the ad-industry bridge; or for that matter, an entertainment executive from LA, who would help build Yahoo’s brand reach and bring in the big bucks (Terry Semel experience will make it wary, though). That decision would help define the future of Yahoo, and whether it survives as an independent company…. Any others? Leave in the comments and vote in our poll. What does Yahoo need in a new CEO? They need someone who is a business and technology person. They also need someone with a strong background in mergers in case Yahoo's board decides to sell. How about Vinod khosla from Sun microsystems? Or John donahue from ebay? Dan Rosensweig is the guy who actually killed Yahoo! by stifling innovation and imposing a killer bureaucracy. Ask anybody who worked there. Are you kidding? Didn't Jonathan Miller get fired from AOL for not being able to transform it into Yahoo! Ross Levinsohn? He apparently wasn't up to running Fox Interactive. I'd rather see them stick with Decker rather than any of the above. Peter Chernin and Tom Freston don't have enough online smarts, although both are really good at what they do. There's got to be somebody better out there than these knee jerk choices. Most likely somebody nobody's ever heard of. How about the guy from NCR, Nuti. He has flown under the radar but made me lots of money the past several years. The economy is killing everyone but that guy knows what he is doing. I think he also ran big businesses at Cisco so knows the silicon valley technology side of things. I agree. I was surprised he wasn't on the list. seriously, ross would want no part of this dinosaur. Add Cheryl, Meghan (Kara's Wife) or Gideon Yu (Sue's former Deputy who would be a great choice.) All know tech & media without being bloated by Hollywood or the lazy days of Web 1.0. What about Seth Godin? He used to work there….